Paris on 2018, September 24th – Banco BPM has selected CRISTAL licensed software package from Worldline [Euronext: WLN], the European market leader in payment and transaction services, for the implementation of its Instant Payment platform. CRISTAL IP fully supports the Instant Payment standard established by the European Payments Council and natively offers connectivity to market infrastructures such as EBA CLEARING RT1 and the ECB TIPS. It has demonstrated high performance capabilities and has been designed to ensure time to market development of new payment products for all types of clients. Worldline solution for Banco BPM includes the provision of interfaces in order to smoothly interact with Banco BPM platform and provide clients and users with the best experience. It also includes systems integration services that will enable Banco BPM IT teams and users to rapidly and securely take over operations of the solution. 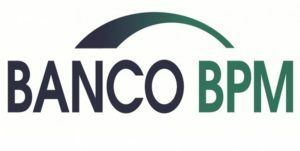 Key criteria for Banco BPM decision were the demonstrated performances and flexibility of the software package, which secure the platform’s long term compliance with future market developments and transaction volume ramp up, as well as the reduced total cost of ownership which makes CRISTAL IP the most relevant solution on the market and will facilitate Banco BPM return on investment. Two major cooperative banks, Banco Popolare and Banca Popolare di Milano, merge on 1 January 2017, transformed into an S.p.A. (joint-stock company). A solid, profitable and reliable company is born: the Banco BPM Group. Thereby spawning the third largest banking group in the country: 23,000 employees, almost 2000 branches and 4 million customers concentrated in Lombardy, Veneto and Piedmont, the productive heart of Northern Italy. A widespread and multi-channel network, with strong brands and versatile cross-selling activities are the cornerstone of the Group’s leadership. With customers, shareholders and stakeholders, the Group’s new business model places the central focus on its people and their skills, enhanced by constant training. Deeply rooted in the tradition of cooperative banks, the Banco BPM Group generates growing profitability for its shareholders and sustainable development in the areas it operates in.